While exercising, our body gives us a countless number of signals whether we should slow down or bring the activity to a higher level; whether you should cut your body some slack or push harder. However, being precise is always the better way to go and the best way to achieve this is with the help of heart rate monitors. Time has shown that due to the inconvenience associated with their placement and the necessity to wash them after each workout, chest straps are not runners’ top choice. Therefore, optical heart rate monitors that are worn on the wrist have proven to be a better and largely accepted trend. It might be because they resemble watches but it can be also due to their effectiveness and convenience. How Heart Rate Monitors Operate? Optical heart rate monitors determine the heart rate with the help of a method called photoplethysmography (PPG). The sensor features LEDs and an electro-optical cell. The LEDs transfer light onto the skin, providing the electro-optical cell with the ability to determine the pulsing volume of the blood flow. Blood has the capacity to absorbs light, therefore the high level fluctuations correspond to the heart rate. 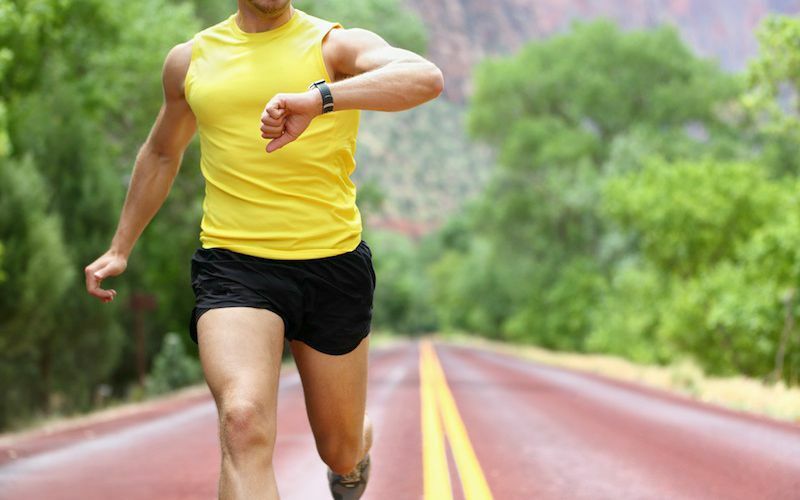 The heart rate of a person largely depends on the weather, the amount of sleep, the overall lifestyle of the runner as well as whether he/she is on a certain diet. This is where these monitors can help you get a better knowledge of your body which you can use to avoid overexercising as well as to know exactly when to push harder without any unwanted consequences. Keeping track of the circumstances in which you perform best can be a good motivation to achieve better results, and gradually become more attuned to your body’s needs. You will eventually learn when and where you need to stop, when it is advisable to maximize the effort and which terrain fits you best. To conclude, wrist-worn heart rate monitors are both trendy and useful devices that can be of great help to your running routine regardless of the fact whether you are a newbie or already a professional. Wrist-worn devices provide runners with the opportunity to gather and evaluate data and give them valuable and useful feedback. Heart rate monitors can help control the amount of effort the body is able to give in given circumstances. Nevertheless, never be too dependent on numbers, instead, listen to your body; it knows best.